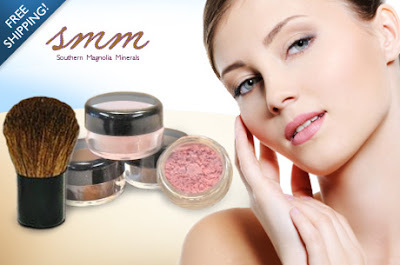 As low as $10 for 5pc Skin Illuminizer Mineral Makeup Kit + Free Shipping! Right now at Eversave, you can get a 5-piece Beautifully Bare Skin Illuminizer Mineral Makeup Kit for as low as $10! You'll also get free shipping with the deal. The deal is on sale for $15, but if you're a new Eversave shopper, you'll get $2 credit in your account, making it just $13. Also, use the code CHEERS at checkout to take off $3, making it $10 for new members and$12 for current. The code is available immediately after purchase so you can get your kit right away! All of SMM's light-but-effective products magically cover spots, dark circles, freckles and other imperfections but never give a heavy or too-done-up appearance. Sensitive skin sufferers can breathe easy knowing it's free of the preservatives, chemicals, dyes, oils and perfumes that can irritate or cause a breakout.